On Tuesday, April 11th I presented House Bill 3106 to the House Committee on Public Education. The purpose of this bill is to assist Texas City ISD with the annexation of La Marque ISD. If passed, HB 3106 would require the state to provide a certain amount of state funding for renovation, repair, and/or replacement of the facilities from the annexed school district. According to an April 2016 Facility Assessment Report, it would cost over $41 million for facility renovation and repair of the facilities of the former La Marque ISD. A new school has not been built in La Marque ISD in nearly 50 years. Two new elementary schools and one new middle school are needed. This would cost an additional $100 million. House Bill 3106 seeks to give over $18 million over a five-year period to assist with the Texas City ISD annexation of La Marque ISD. Dr. Lusignolo, Superintendent of Texas City ISD, drove up Tuesday morning to give testimony on the great need of funds for facility repairs. Thank you for your dedication to your school district and our community. I was honored to have Ball High School student Fred Rhines serve as my honorary page on Monday, April 10th. 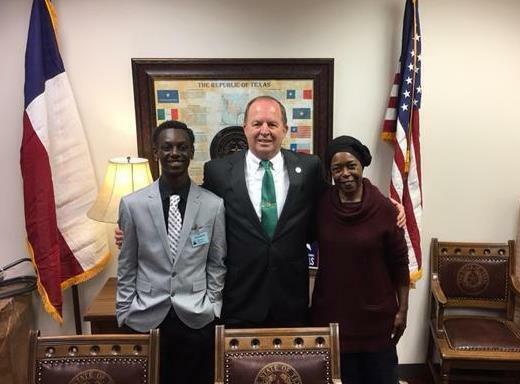 Fred and his grandmother traveled from Galveston to gain first hand knowledge of the legislative process and its inner workings. 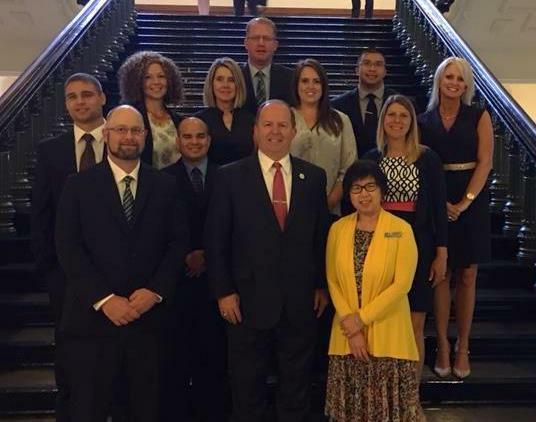 On Tuesday, April 11th, I was excited to host Leadership Mainland along with Senator Larry Taylor at the Capitol. I enjoyed recognizing the group on the House Floor and meeting with them during lunch. 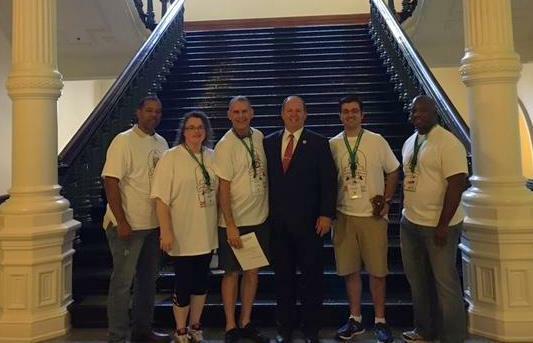 Leadership Mainland then went on a Capitol tour and met with Texas Chemical Council. They then met with Commissioner of Education Mike Morath and Texas Education Agency. The group ended the day by meeting with the General Land Office. Over the weekend I was lucky enough to attend an event in the district, the Pilot Club Gala. 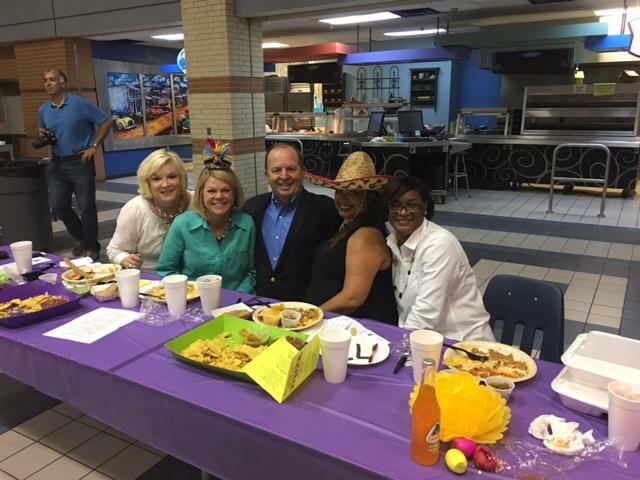 While there, I was able to meet with the leading ladies of Chambers County. 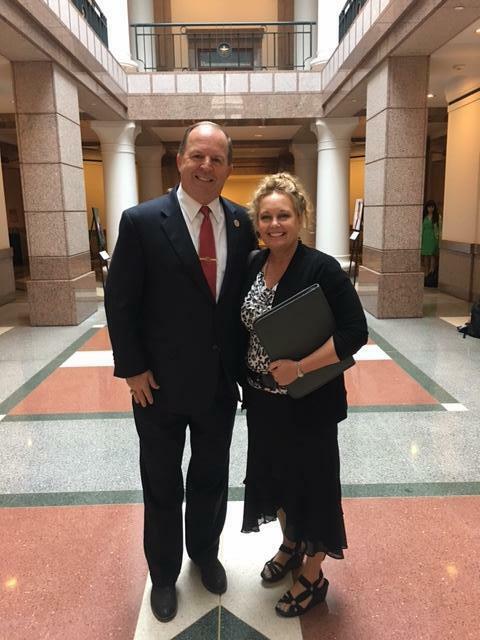 Our very own Judge John Ellisor and members of the Texas Association of Specialty Courts came to Austin this week for a day at the Capitol. The oldest continuously published news paper in Texas is celebrating a milestone - 175 years of providing news to area citizens. Founded by George H French, the newspaper printed its first edition on April 11, 1842. Willard Richardson took on the role of editor in 1844 and acquired sole ownership the following year. Under his leadership, the paper became a major voice in the Republic of Texas and, later, a critic of the policies of Sam Houston as both Governor of Texas and United States Senator. During the Civil War, the federal blockade of Galveston prompted a move to Houston, but publication returned to the island in 1866. Alfred Horatio Belo, a member of The Daily News staff became the principal owner in 1875. He installed the first telephone line between his house and newspaper office. In 1885, he established the Dallas Morning News as a sister paper. The newspaper was held for many years by the Moody family of Galveston before its sale to Olveta Culp Hobby, whose family then owned the Houston Post. In 1967, The Daily News was purchases by Galveston Newspapers Incorporated and the family of B. Carmage Walls. Today, the newspaper continues its proud tradition of family ownership under Lissa Walls, daughter of B. Carmage Walls. The paper changed its name to The Galveston County Daily News in 1993. It became one of the first papers in the state to publish online when it launched its web edition on December 25, 1995. The Daily News further extended its reach by merging with the Texas City Sun in 2004 and developing Coast Monthly magazine for the Upper Gulf Coast. Since the days of the Republic of Texas, The Galveston County Daily News has informed and enlightened the citizenry. It has earned a place among the finest newspapers in the Lone Star State, and its long history is a testament to the vital role it plays in the Galveston community and beyond. it is for these reasons the 85th Texas Legislature would like to commemorate the occasion and extend the sincerest and best wishes for continued success.